I'm sorry about the lazy phone photos, but for now you'll have to make do. I already own the eighteenth chapter. Every so often I search for the other chapters in ULTRA JUMP magazines but it's not so easy. Fortunately today I found the magazine which has the nineteenth chapter on a Japanese online book store. I haven't ordered it yet and I hope it will go through. When I said "and then some", I was referring to chapters beyond these. First of all, I'm not actually sure if the Chaser chapter is the end of the Outlaw Star story like how it was told in the anime because I haven't actually read it, but for the sake of argument I'm going to say it is. Wiki sites (like the Outlaw Star Wikia) say that Outlaw Star is incomplete. I say it's complete, just not quite beyond the anime. I've found two items of interest. The first is something that was floating around the net for many years. More accurately, one of its panels was, which is a coloured panel of Hilda with a speech bubble but no text inside. I have that, and several more pages with the text. Fans were never sure what this is. I have a couple of theories. Most of us know that Hilda doesn't die in the manga, so one might think that this is a continuation of the manga from Hilda's perspective. It's plausible, but we must remember a few things. The panels you see above are very similar to the scenes in the first few episodes of the anime. Some think this may be a prequel to Outlaw Star. Again, a good idea, but I'll list some theories with my strongest at the top. This is actually a manga version of the anime—crazy, huh? The third theory has very little to back it up. The second theory seemed quite possible with the single panel image that's been shared online for many years. But now, with what I've found, my adaptation theory seems strongest. I want to make one thing clear which may surprise some of you: I haven't read much of the manga. I didn't want to spoil it for myself and actually read as I translate it, which is now going to happen. I don't know much about what Hilda does in the manga. But it's unmistakable that the pirate ship in that image is Roifan's. (The mustachioed guy who's obliterated in the anime.) I'm not sure if he gets killed in the same fashion as the anime in the manga, but it seems likely to me that he dies. Unless the Kei Pirates mass-produce this ship, this rules out the manga being a sequel. Also, right at the start of the anime Hilda fights Kei Pirates, using similar laser attacks. While she isn't fighting Roifan, that comes shortly afterwards. I think Takehiko Ito pitched this adaptation to Sunrise but they rejected it. The first thing we can obviously gather is that it's presented as "Outlaw Star 2". But I'd like to make a point here. As I said before, if Chaser is the end of the fight at the Galactic Leyline and an anime-like ending, we could pretty much shove all of those four chapters into a volume and call it a day. While four chapters isn't much, consider that the first volume of Outlaw Star only has five chapters, whereas the third has seven. It's more about the quantity of pages. So, I think those four should have been volume four. That's it, right? Actually, no. We got a very small (literally) sneak peek at the fifth manga, despite not hearing about the fourth. It feels crazy to think we're this close to having the entire manga (what has been released of it, that is) at our fingertips, something I'm sure most of us could only have dreamed of up until now. 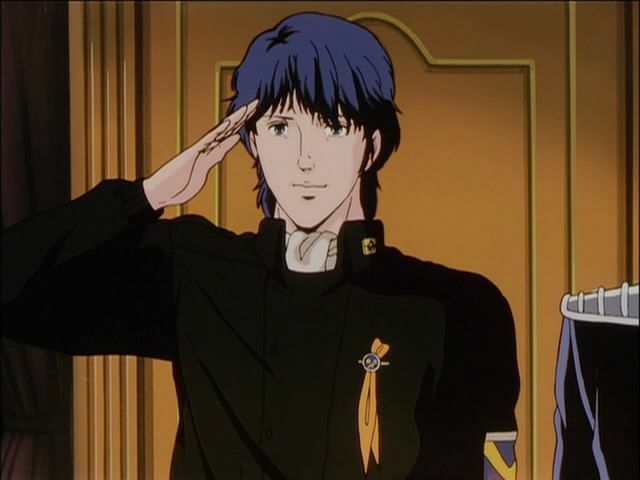 This feels like a phenominal step for the Outlaw Star community-- all I can say is thank you for all of your hard work, Captain Mantis. I look forward to seeing the end result!